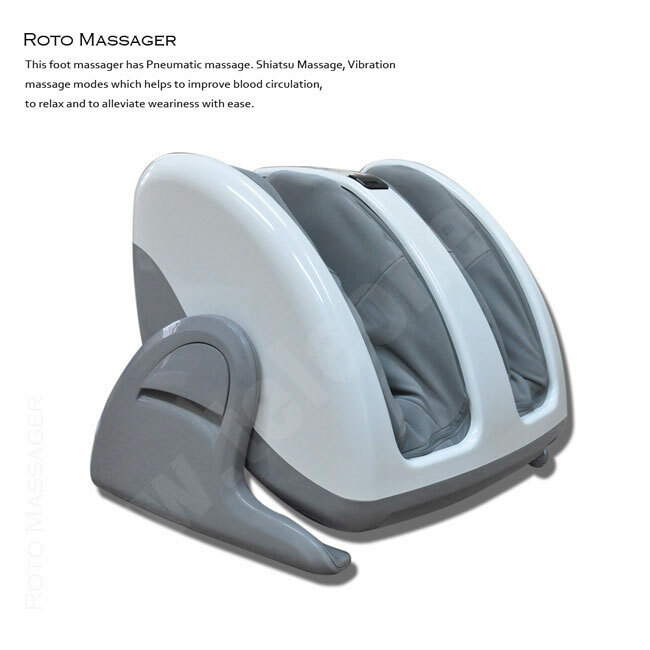 Massages your legs and calf separately. 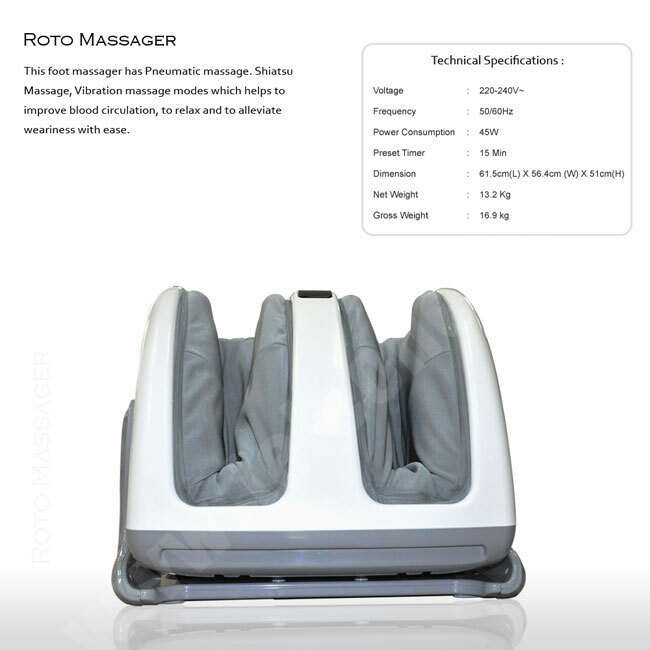 This Roto Leg Massager has Pneumatic massage. 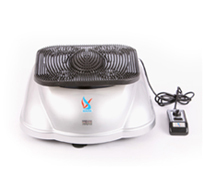 Shiatsu Massage, Vibration massage modes which helps to improve blood circulation, to relax and to alleviate weariness with ease. 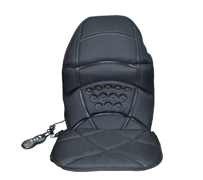 The massager adjustable up to 70 degrees backward, so you can massage both legs according to your favorite angle. 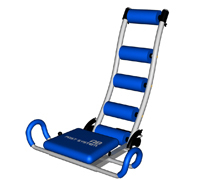 And massage your leg and calf separately.